When you design presentation slides do you often feel as if something is missing from your presentation design even if you’ve included photography, text and typography? If so, what you’re likely missing is iconography. Icons are typically small in size, yet they can have a substantial impact on your overall presentation design. You can purchase icons from paid sites such as Adobe Stock, iStock, and Shutterstock. You can also download icons for free from many great sites, such as the ones listed below. Freepik lets you download free icons for personal and commercial use. Icons can be downloaded in PNG, EPS and SVG formats. With Freepik, you can search for icons by keyword, or peruse categories such as animals, art, business, and sports to find an icon that fits your specific needs. Freebiesbug is a great resource if you want to view multiple icon collections created by different artists in various styles. Most of the icon collections are only available in the PSD format. To view all available icons, search for icons in the search bar. If you’re looking for something different from the average icon, check out the free icon sets by graphic artist Pablo Stanley. 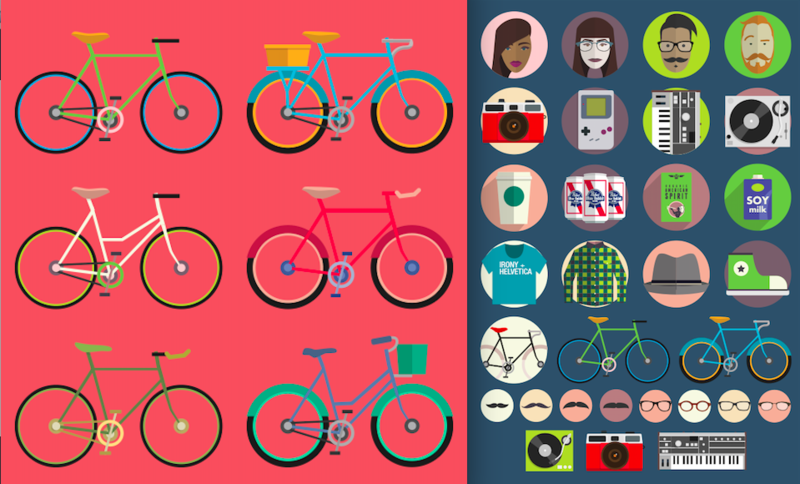 Stanley is giving away 32 colorful hipster icons and six bike illustrations. Icons can be downloaded as PSD, AI, and PNG files. 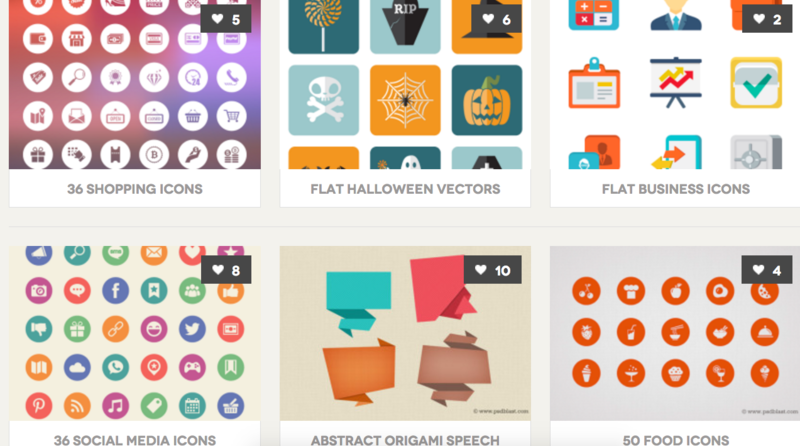 Discover an array of free icon options when you comb through the freebie section of Webdesignerdepot.com. 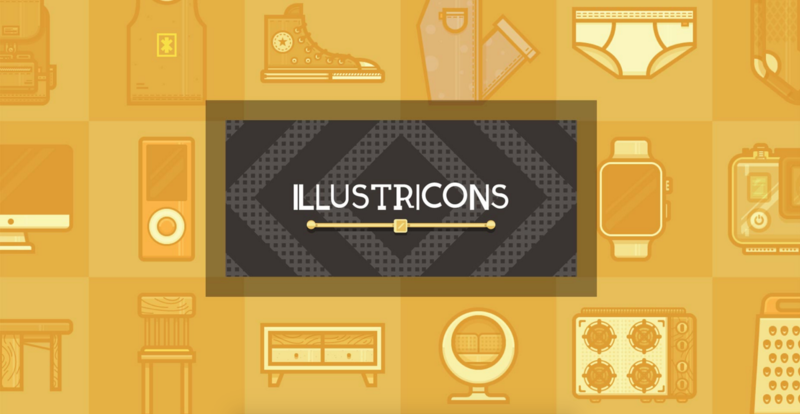 In the freebie section, you can find beautiful icon collections such as Illustricons as well as the animated icons (gifs) by Animaticons. Since each icon collection is unique, read the fine print to learn the attribution requirements and file format options. With Iconmonstr you can access a large collection of glyph icons, all of which are free to use without attribution and can be modified to match your preferred style. Iconmonstr is easy to use; search for specific icons by keyword, look through the organized collections, or use the shuffle option to view a random assortment of icons. 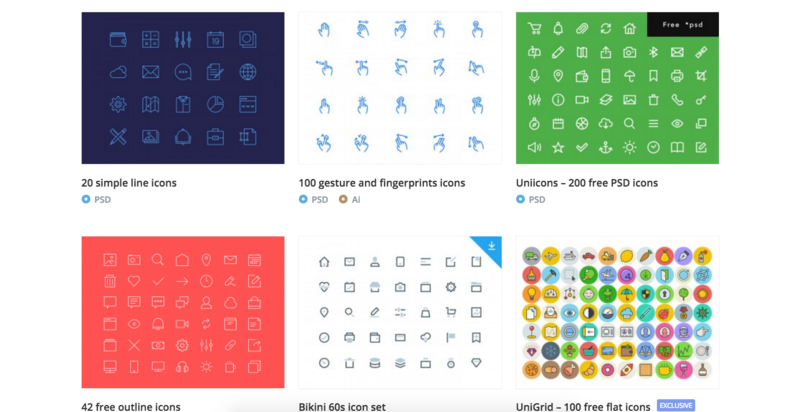 With Minicons you can download 210 vector icons with a single click. Minicons’ Free Vector Icons Pack is licensed under a Creative Commons Attribution 3.0 Unported License and is free for both personal and commercial use. Goodstuffnononsense.com is giving away several hand drawn icon sets that are free to download for personal and commercial projects, with no attribution required. Currently available collections include a cooking collection, a new year’s collection, and a social media icons pack. 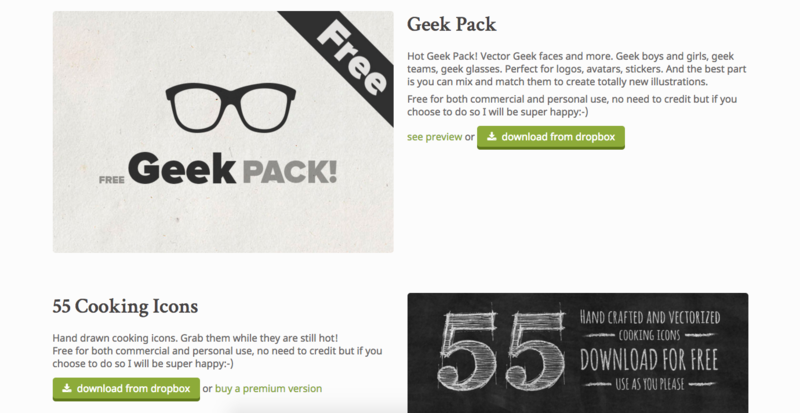 Bestpsdfreebies.com has a vast collection of beautiful icon themes that you can download for free for personal and commercial projects. On this site you can choose from collections such as a food and drink pack, a flat icon set, an ecommerce collection, and more. There is an abundance of free icons available for download, and the attribution requirements are simple to understand. 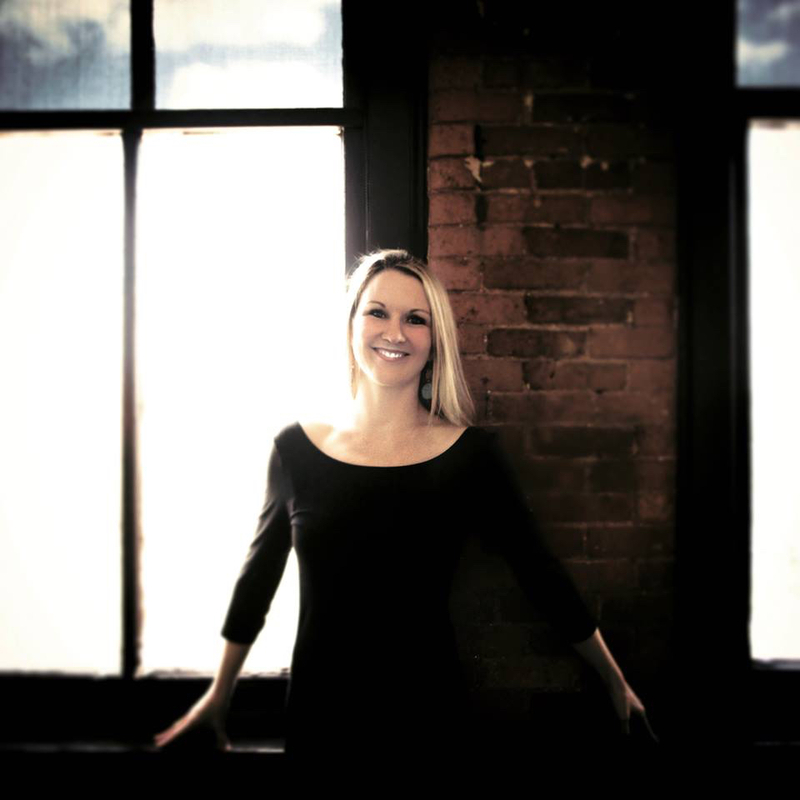 However you should review the fine print before downloading any free resources for your presentations. Once you have discovered icons that are a perfect fit for your presentation, have fun with creating slides that look as if they were designed by professional presentation designers. And if you’re looking for additional options for free icons, read the blog post Where To Find Free Icons For Your Presentation Designs. 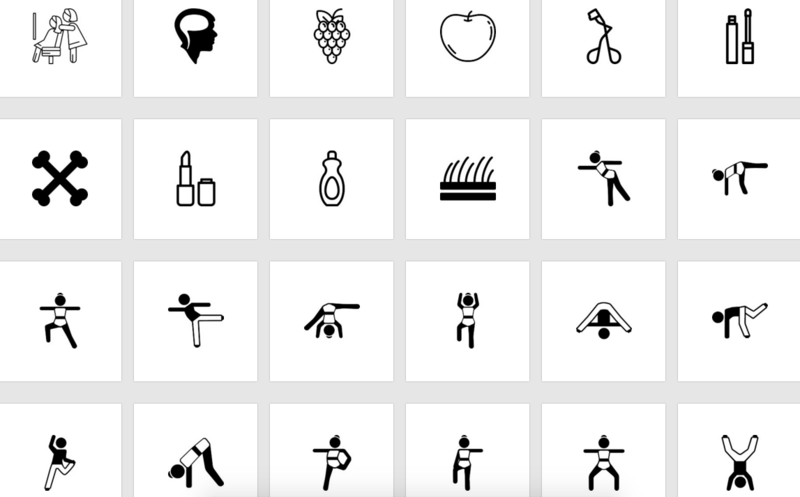 To inspire you to use icons in your next presentation, check out the examples below, created by Ethos3.